Late in the week, we realized that neither of the kids had to work on Saturday. Since their mom was out of town for work, it was a perfect opportunity to spend the day together – a Daddy-kid day as we like to say. I don’t get many of those days anymore, so grab the opportunity when it’s there. 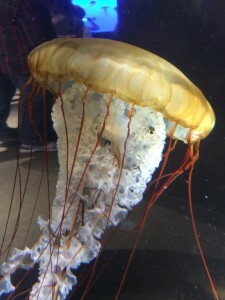 The youngest just loves Boston, less than 90 minutes from home, and she heard that the New England Aquarium had several cool new exhibits – penguins, refurbished coral in the main tank, and . We set the plan in motion, leaving around 9:30 (at least that was the schedule), and headed to the MBTA Riverside Station after a quick stop at our local Dunkin’ Donuts for breakfast. Riding the T (MBTA) is the best way to get into the city. Parking is about 12 miles from the city, only $6 for the day, and you can get practically anywhere in Boston for a $5 round trip per person. You cannot park anywhere in the city for the $21 we spent for parking and the T tickets, and you have to deal with Boston streets (terrible), getting lost, and hoping your car is in one piece when you find it. Then there is the traffic out of the city. Taking the T is a much better route. One of the stops that we could have used to get close to the aquarium is shut down for major reconstruction, so we couldn’t get close but couldn’t have asked for a better day as far as the weather was concerned. The day was supposed to be at least partially a washout, with a chance of rain through at least 11 AM. By the time we got to the Riverside parking lot, the temps were in the upper 60s and the sun was out. It was a spectacular day to be walking around Boston! We parked and purchased a single, $20 ride pass for the T to share, and waited about 5 minutes for the next train to arrive. On weekends, there is plenty of parking in the T lots unless you are late and there is a home Red Sox game starting within a few hours of your arrival. 40 or so minutes later, we ended up at Park Street Station, about 3/4ths of a mile from the aquarium. We could have switched trains and ended up close to the aquarium, but opted to walk on this gorgeous day. When you arrive at the aquarium, there is an external tent used for ticket sales, then a harbor seal exhibit between that tent and the front door. While it is nice to watch the two seals, the real show is inside. If you get a chance to go to Boston, the aquarium isn’t to be missed. We left to grab a bite to eat, at Granery Tavern on Milk Street. 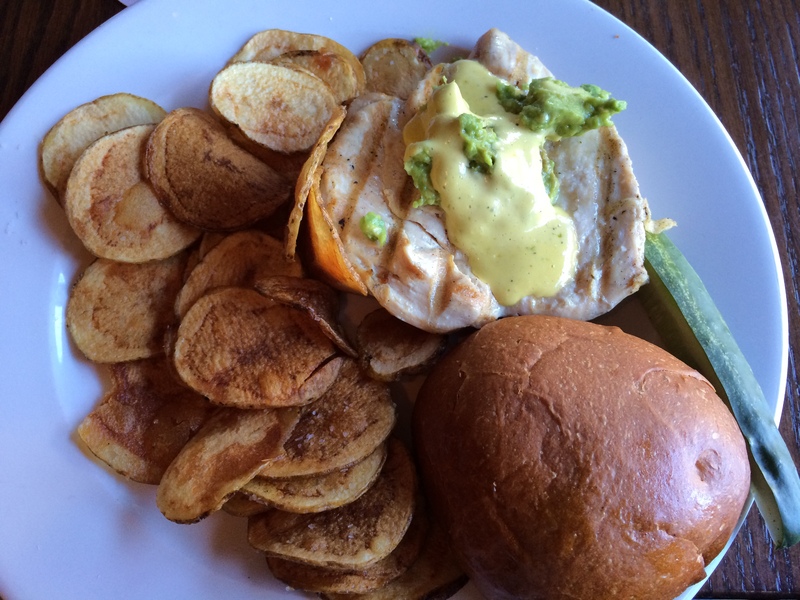 The chicken, avocado salsa, lime aioli sandwich was fantastic – and the Sam Adams Summer Ale was the perfect beverage to accompany the meal. A chipotle mayo served to my son for his burger was the perfect dipping sauce for the homemade potato chips. We headed back to the aquarium to finish our tour and even saw a little creature that showed off their fantastic, natural light show. 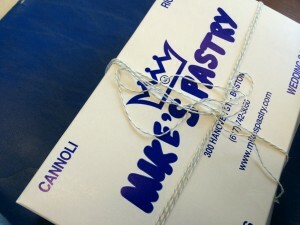 We knew that a trip to Mike’s Pastry shop, for a box of goodies to take home, was the only way to end our day trip to Boston. A quick walk back to Park Street Station and we headed home with many Red Sox fans exiting the T near Fenway (making a crowded outbound train, then nearly empty train). The weather, food and sites, no matter how good, fell far short of being the best thing about yesterday. Just getting to spend the whole day with my adult children was by far the best thing about the day! Chicken sandwich with lime aioli and avocado. Mike’s Pastry – the perfect end to a Boston trip! It’s been a while since I last posted, but wanted to try and catch up before the summer slips by and it’s fall. I have several other blogs that have also slipped without updates as well, so here’s my reasons / excuses. 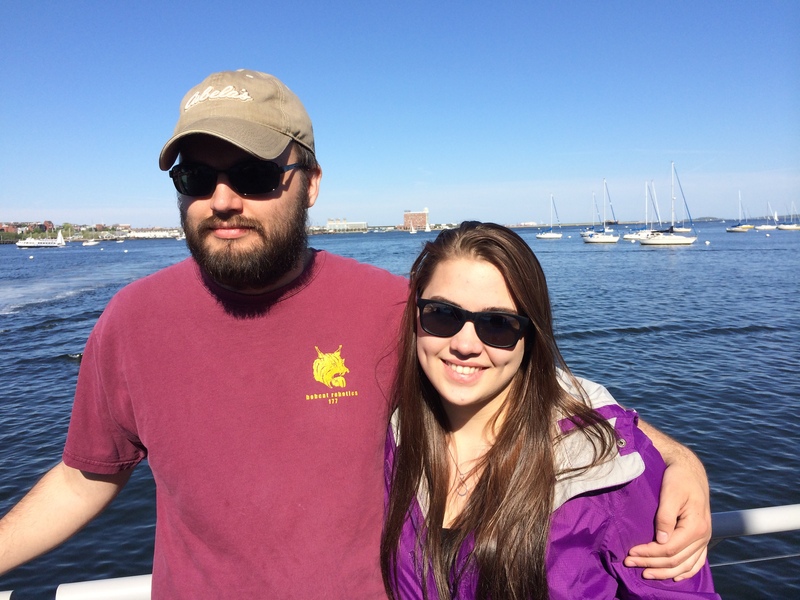 This spring took the family on a few excursions including several trips to my daughter’s college, one anniversary trip to Cape Cod, and a trip to Las Vegas for work for me. This is minor compared to my wife’s travel schedule which has been nuts. When she travels, my life is turned on it’s ear keeping everything running here, feeding everyone, and still putting in my 60 – 70 hour weeks. My exercise has gone to pot for the most part as well, difficult to keep a consistent routine going with all of that going on. Our 25th anniversary took place at the end of February with little fanfare. We went out to dinner at a nice restaurant, then headed back to work the next day. Our big celebration consisted of a 2-night, 3-day trip to Cape Cod. We stayed at a Bed & Breakfast in Brewster, Maine. When we arrived on Friday, we just relaxed by walking on the beach, then heading to an early dinner at a very fancy restaurant. The package we purchased included a dinner at one of a couple of really nice places, a bottle of wine, and the two nights. The hosts at the B&B were lovely and I’d stay there again in a heartbeat. The second day, we spent just wandering around the Cape with no particular plans on where to go or when to be there. We saw several lighthouses and over 30 whales from the shoreline. We ate at a local bar close to the B&B and had fantastic food and relaxing conversation. The next day, we went south towards Woods Hole and Falmouth to see even more lighthouses check out the southern coast. It was very relaxing. In May, I headed to Las Vegas for a 2-day information security forum. It was very professionally done, and gave me the chance to network with others in my industry. We stayed at the Cosmopolitan, one of the newest properties on the strip. When we finished on Friday, I walked the strip for a while. It didn’t take long to find a host of strange people. I walked through the MGM Grand for the first time since 1994 or 1995. It has gone so far downhill from what I remember, but other properties were simply over the top gorgeous. Finally, this week took me on Wednesday (and my wife again on Friday) to drop (pick up) our daughter at college for her orientation. It was a bit strange leaving her there, even if I returned 15 minutes later to give her important items she had left in the car (wallet, ID, money). She may be grown up but she’s still our little girl at times! Yesterday was the start of a 5-day weekend for both my wife and I. We took off early and headed to my youngest brother’s home near Hunt Valley, Maryland. We didn’t look forward to the drive because of the traffic, but it wasn’t that bad until we got near Harrisburg. So, we headed south through Hershey and bypassed the majority of the traffic. We also got to see a gorgeous sunset and got a whiff of chocolate as we traversed Hershey. My youngest sister, two years older than I, had arrived shortly before we did, along with her youngest son and husband. Her eldest son showed up as we were leaving, so expect to spend some quality time with him today. My brother’s wife and kids are such a joy to be around. They are younger, with the three kids being all under 12. They have some fantastic toys that engage our kids as the “cool” older cousins. I have really enjoyed watching their kids grow up. While we didn’t really see them often until recently, we are now seeing them several times this year and now have solid relationships with all of them. They travel to Maine almost every summer for a week of vacation and have to basically drive by our home when doing so. With the drive here being almost halfway to Maine from Maryland, it makes for a perfect stop either on the way up or back. I’m looking forward to Thanksgiving and getting a chance to just relax for a day or two before heading into the holiday rush. Heather and Dave are two of our closest friends. They have chosen to spend part of their summer vacation with us this year. I simply couldn’t be happier! We will do a bunch of day trips to places like Mystic and hiking in the nether regions of Connecticut (that we haven’t explored yet), and are coming in less than a month. I am more excited than I have been in a long, long time. I am taking the entire week off, including the day prior so I can start to get in the vacation mindset. I also know that this will be the most laid back week I have all summer, not thinking about work, having some heart to heart talks with both of them, and enjoying the company of their girls as well. Their eldest is one of my daughter’s best friends. They have known each other since kindergarten (that’s 10 years now), and their relationship is the reason that we got to know Heather & Dave in the first place. Heather is affectionately known as my church wife, since Sue sang in the choir and Dave didn’t attend church often. Several people at the church thought we were married since we always sat together with “our” four children. It was funny, but I really miss sitting next to her in church, in a place where she made me feel comfortable, even though we sometimes spoke little during the service. Dave has an excellent work ethic, and I think this is one of the reasons why we connect like we do. He’s genuine, says what is on his mind, and does all that he needs to so as to take care of his family. We’re similar that way. Heather always has a smile on her face and her hugs — they are to die for. When I say I need a fix of Heather, I mean that I need one of her genuine hugs that can make me forget about all of the problems in the world. When Sue and I told our friends that we were leaving Richmond, Heather and Dave couldn’t deal with it. I was mad at first, then accepting that she (they) were in denial. After all that we had been through together, I had to know that it was as tough on her as it was on us. I will be glad to reconnect to them this summer, if only for a week. 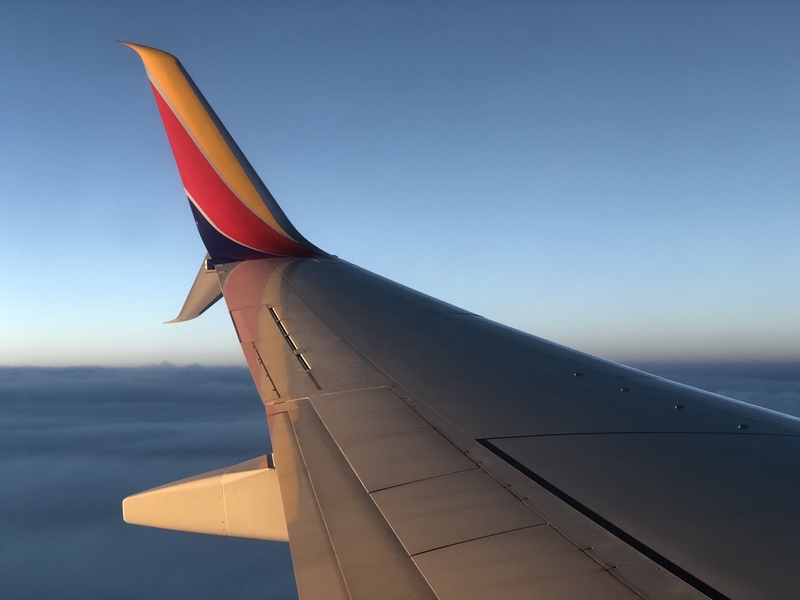 It will be sad to say goodbye, but it will be easier knowing that we will see them again and be able to pick right back up with our friends next time around. Once again, I am trying to make my way out of a hell hole otherwise known as an airport. While the first leg of my flight was very uneventful, I now sit in the airport in Charlotte, North Carolina waiting for another US Air “issue” to be resolved. Today, the issue is a “maintenance issue” so has tacked a full 65 minutes onto my layover. Now I need to conserve batteries or find a plug to make the time last. What I don’t get is the fact that the originating flight left Jamaica on time, but there is a maintenance issue here. The funny thing is that since the plane has not landed, you have to wonder what that delay really is. If it was really a maintenance issue, would the plane have really taken off in the first place, or would it have returned to Jamaica to take care of the issue before endangering the passengers? Personally, I think that this is the excuse de jour, equating to some miscellaneous issue that they didn’t want to explain. Friday, I got the chance to see many of my good friends, both the guys and the gals. Some of us were together at the middle school ceremony Friday morning, then later at the pool. We also got together on Saturday, although for less time than Friday. Four of the couples went to eat at El Chaparal, a very authentic Mexican restaurant. Later, back to our house to chat, have a few beers, and just hang. This is why coming home is good. I am in the Philadelphia International Airport right now, heading home. I have been pushing very hard lately, trying to see home after home, trying to get the laundry done, pay the bills, feed myself in a somewhat healthy manner, and trying to get sleep. The sleep has taken a back seat to everything else. I would give anything to have someone else helping with some of it, but it is the path that we have to take right now. Last night, I got about four hours of sleep before heading to the office. That allowed me to leave early to make my flight without taking any time off. It’s the advantage of flex time. My children don’t know I’m coming, so I expect that it will be a good homecoming. Neither does my dog! I miss him since I haven’t seen him at all in almost 5 weeks. Certainly not as much as I miss the normalcy of life, but he is part of that normal life. Brewster never fails to make me smile, so I expect to spend a good bit of time with him this weekend. Tomorrow night is a party at our local pool. While we didn’t join the pool, we were extended a free membership for the part of the year we were still in town. This was for several reasons, but mostly due to my contribution of time and effort with the web site, the stereo, etc. That took a good bit of time, although has been turned over to someone else to maintain. Back to the fortune. Last night, after seeing all of the homes in the Connecticut town that I could, I headed back to wash the car (dirty, dirty, dirty), then to get some dinner. Obviously, my choice was Chinese food and the above fortune was in the cookie I received. I laughed when I opened the cookie, knowing that I would be home in about 24 hours. Maybe I need to play the lottery with these numbers. The past two weeks go down in my life as being life changing. Last Thursday, we had a gathering at the house of many of my friends from work outside the City. These are the people outside of my wife and children that help me define my life these days. They are lifelong friends, all met in the past ten years. Not everyone was there, but many were to help me celebrate. My closest friends made a CD for my trip, to remind me that I always have a home in Richmond. Friday, I left my job after more than ten years. I packed my last box, turned in my laptop, blackberry, and badge. 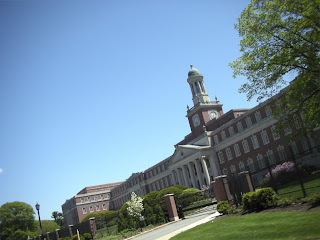 Then, I made one final trip around the facility to say my goodbyes that I hadn’t previously said. While I still need to send an email to those folks, it was really strange saying goodbye. I went home and packed, then jammed as much as I could in my car. Early on Saturday, I left the comfort of Richmond and headed north. It was a 12-hour drive, filled with phone calls from friends making sure I was awake and doing alright. At long last, I arrived in the Residence Inn located in West Springfield, Massachusetts – my home away from home for the next 60+ days. My GPS tried to self correct my intentional diversions from major highways, but that’s another story. Sunday, I found a grocery store, Costco, and drove to my new office to be sure that the Monday commute would work. My GPS worked like a champ this time. Monday, I started my new position, with a new company, doing things that scare the heck out of me. I am working for a very large company (again), but with many more corporate-based employees at the same building. The building is huge, old, and with the great style attributed to the early 20th century. There should be a picture above. After a whirlwind week, I have settled into a basic routine. I have started to catch up on my sleep, and really got a chance to recharge yesterday. I was fairly restless last night, in part due to a loud snorer next door and in part due to my 2+ hour nap in the middle of the afternoon yesterday. I was up today at 5:30 AM, and was doing laundry at 6. Not much competition for washers and dryers at 6 AM. This week, Sue and the kids come up. They will be visiting schools on Thursday and Friday, visiting northern houses with one of our realtors on Sunday, will be visiting CT and southern MA houses with our Realtor on Monday. Thank goodness for the three day Memorial Day weekend next week!